I’ve spent some time recently overclocking and testing a RAM kit for review (from G-Skill as well), and this press release could not have come out at a more appropriate time for me. 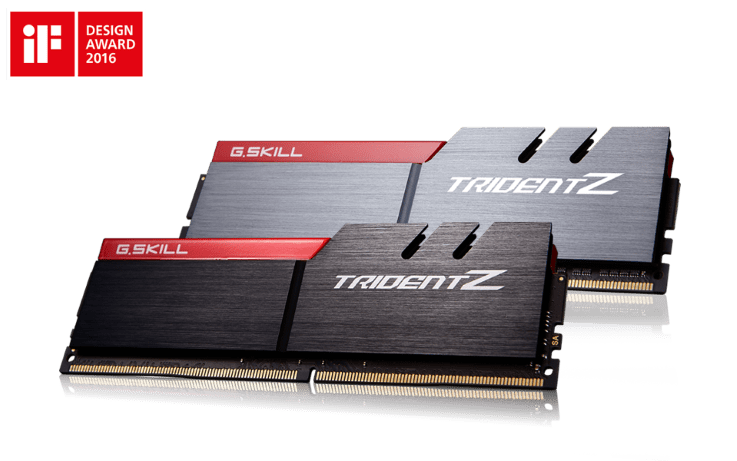 G-Skill has announced a new 32GB Trident Z (8GBx4) DDR4- 3866MHz kit operating at CL 18-19-19-39 at 1.35V. For me to even get my own 16GB of Trident Z ram stable at DDR4-3733MHz, I have to let loose the voltage and crank it up to 1.5v just to run a few tests and benchmarks. 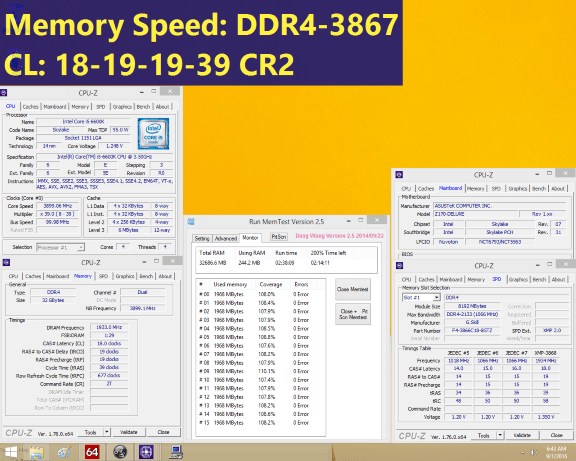 These new DDR4 3866MhHz kits have timings that are a little too open, but since they run at 3866MHz off the bat at 1.35v, the high performance Samsung IC memory chips would probably not mind a bit of extra voltage to allow some enterprising overclocker to tighten up timings, perhaps CL 17-18-18-38. Even though it is a 4 kit set, these are running in Dual-Channel as they are made for the Skylake platform, so those thinking their workstation X99 computers can get even more memory bandwidth might have to settle for lower clocked Quad Channel memory. G-Skill did send a picture of the RAM in a Skylake system running a 6600K on an ASUS Z170 Deluxe motherboard.Obviously this kit will only make sense for a select user base, perhaps those who want to overclock from a high starting point, or a professional user looking to shave off a few seconds from rendering photos or video work. Over time, seconds add up. I’m that guy in the family who always gets asked for tech support, and I die a little every time. I’m a Dota 2 addict in denial, geeky enough to use and mine bitcoin and a semi-retired PC Gamer who bought his first console in 2015. Click here to download more RAM.